The Mystic RT-620 mattress by Eliza-Ardonette (EA) offers 2700 individually hand nested pocket springs (King size) for exceptional comfort and support. 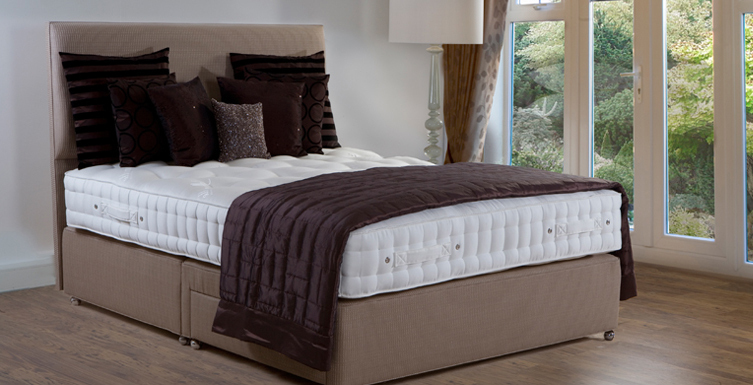 The luxurious winter/summer mattress features resilient soft cotton on the summer side, and a warm silk and lambs wool blend on the winter side, providing you with a perfectly restful sleeping surface. The mattress is finished with 2 rows of traditional hand side stitching to the mattress borders. 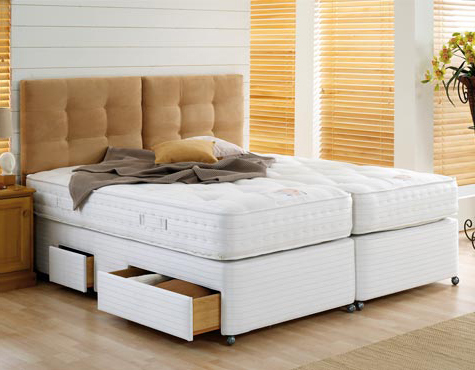 The Mystic 2700 (above), is shown as a 150 x 200cm, with EA's Pocket Design featuring two high quality side drawers, a full length EA Designer Headboard divan, and the EA Truffle Brown bed pack. 1700 individually hand nest pocket springs in the standard 5’0. 1000 individually hand nest pocket springs in the standard 5’0. Choice of 4 luxurious divan covers.